Duologue is a reminder that one of the surest ways to get to the music of West Africa is to stop in Cuba first. 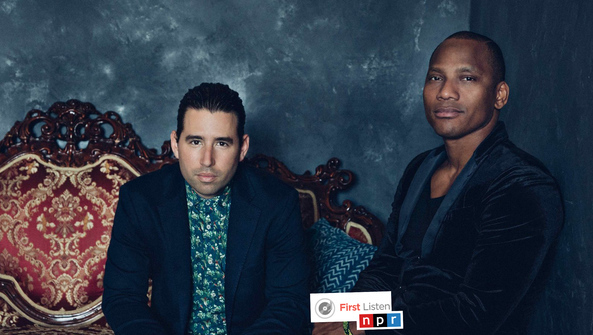 Pianist Alfredo Rodríguez and percussionist/vocalist Pedrito Martinez have each established a foothold in a Cuban music scene that has its roots in West Africa. They combine their impressive musical talents on an album that demonstrates how flexible those traditions can be when matched with visionary musicians and a seemingly boundless innovative spirit. Setting Martinez's inspired vocals against a patchwork of beats - including a bit of jazzy funk, as well as Afro-Cuban santería references - Duologue reminds us that the piano is considered a percussion instrument. The mind-melding between the two is sublime, with melodic rhythmic patterns performed on piano as well as a variety of beat-makers big and small. 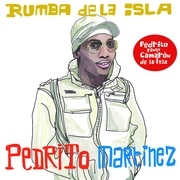 Sony Masterworks in partnership with Calle 54 Records releases: Cuban musician, Pedrito Martínez's new album Rumba de la Isla. Featuringsongs once interpreted by Camarón de la Isla, the legendary flamenco icon, Rumba de la Isla is produced by Fernando Trueba and Nat Chediak. The albumcelebrates the convergence of both the Cuban and Flamenco rumbas. The great rumbero Pedrito Martínez manages to integrate, in his own personal way, classic songs by Camarón de la Isla in a unique tribute to the greatest flamenco artist of all times.